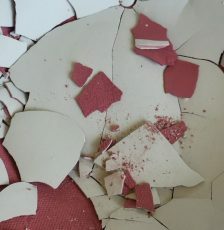 What’s happening when you put your piece in the kiln? 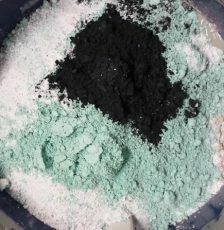 What are those materials that you’re mixing together? When you run out of a glaze material, or a recipe calls for something you don’t have, do you know what you can substitute? Are all feldspars created equal? This is what you’ll learn in this class and knowing these things will help you strengthen your entire studio practice. How much time have you spent worrying about a kiln opening, or researching a glaze problem? All that time could be spent making pots or exploring new glazes. 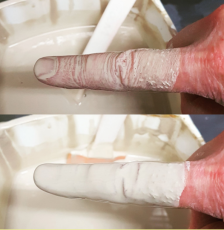 When you have a basic understanding of how glazes work, you can make sure your glazes are going to fire properly and issues can be solved quickly. Have you ever had a glaze that you loved but it ran onto your kiln shelves? Or it crazed over time? Or you wish it was glossier? More matte? Satin? Your clear glaze isn’t that clear? These are all problems that can be solved by understanding the chemistry. We can fix, adjust and adapt glaze recipes to get them working the way we want them to. Even if your glazes aren’t giving you troubles, you might want to try something new some day. Choosing a new recipe can be a daunting task and it can take a lot of trial and error before you get what you want. 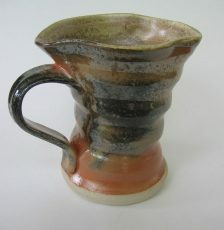 More often than not, a new glaze will not perform exactly as expected or shown in a photograph. How can you tell if a glaze will be suitable before you fire it? Glaze recipes follow a formula that determines what they’re going to look like and what temperature they’re going to melt at. When you know how the formula works, you can make any kind of glaze you want, at any temperature. Knowing a small amount of chemistry will help you make better decisions when deciding which new glaze to choose. Knowing a little more chemistry will give you the freedom to create your very own glaze recipes from scratch! Understanding glaze chemistry doesn’t mean you no longer have to test glazes. It also doesn’t mean there will never be any mystery and excitement to the glazing process. What it means is that your tests will be more successful, your problems will take less time to solve and your exploration potential becomes limitless. When you use chemistry to explore glazes, it means your results are repeatable. You can still use your intuition and play around and say “What if I just add a little of this and a little of that?” Just understand that every addition or subtraction of a material equates to a new chemical formula and you will have the ability to understand what has changed and why. But you have to be willing to do the work. I’m going to give you a map and show you a path. But having a map can’t help you if you don’t start exploring and walking down the path. Test tiles are your friend. The more, the merrier! Throw a test or two or more into each firing. Use the empty kiln space around your pots to try something new. I loved these workshops! Sue’s enthusiasm is infectious, her knowledge is great, and her teaching style makes ceramic chemistry seem accessible and FUN! What is a glaze? The basic components that make up our glazes. The Periodic Table of Elements – which elements are used in ceramics and why? Glass Formers, Stiffeners and Fluxes – where they come from, why we need them and how they all work together in a glaze. Glaze Ingredients – categorized by the function they perform in a recipe. Opacifiers and Colourants – how to go about finding new glaze colours? Cone 10 vs Cone 6 vs Cone 04 – what determines the firing temp of your glazes? Glaze Durability – what makes a glaze durable and why durability is important for functional ceramics. Glaze Chemistry – why we need to learn it and why it’s not as complicated as we might think. The Stull map – a guide to creating matte, satin and glossy glazes at any temperature. 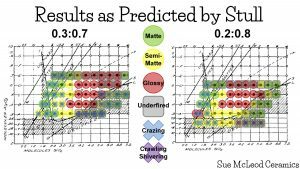 Glaze Calculation Software – how to use it to analyze, adjust and create glaze recipes. Upon completion of the class, you’ll be invited to join my private Facebook Group where you can ask questions as they come up in your studio. We’ll continue learning and sharing information, together as a community. Once you complete this Level 1 class you’ll be eligible to take any of my upcoming Level 2 classes. Class is presentation style. Handouts and note taking paper are provided. Presentation slides will be emailed to participants after the class for future reference. There will be a visual display of test tiles to demonstrate class concepts. Class includes interactive activities and time for questions and discussion. I’m a beginner. Is this too advanced for me? A great question! This class is best suited for anyone who is already, or plans to start making their own glazes from scratch. No previous knowledge of glaze chemistry is required. We start with the very basics and step by step, we end up quite deep in the depths of glaze calculations. If you’ve been doing ceramics for a while but are new to mixing glazes, this’ll be a great class for you. You’ll understand the materials and recipes you’re working with right from the get-go. If you’ve been using commercial glazes but have decided to start making your own glazes instead, this class is a great jumping off point. If you’re brand new to ceramics and you’ve never mixed a glaze before, you might be better off to give yourself some time to get familiar with the ceramics process before you dive into glaze chemistry. I’ve had several students take my class who have never mixed a glaze before but have a thirst for knowledge. They all really enjoyed the class but a few felt a lot of it went over their head. The information really becomes relevant when you start making and testing glaze recipes. I encourage anyone who hasn’t mixed a glaze before and wants to take the class to look at some glaze recipes and become familiar with the names of some of the materials beforehand. 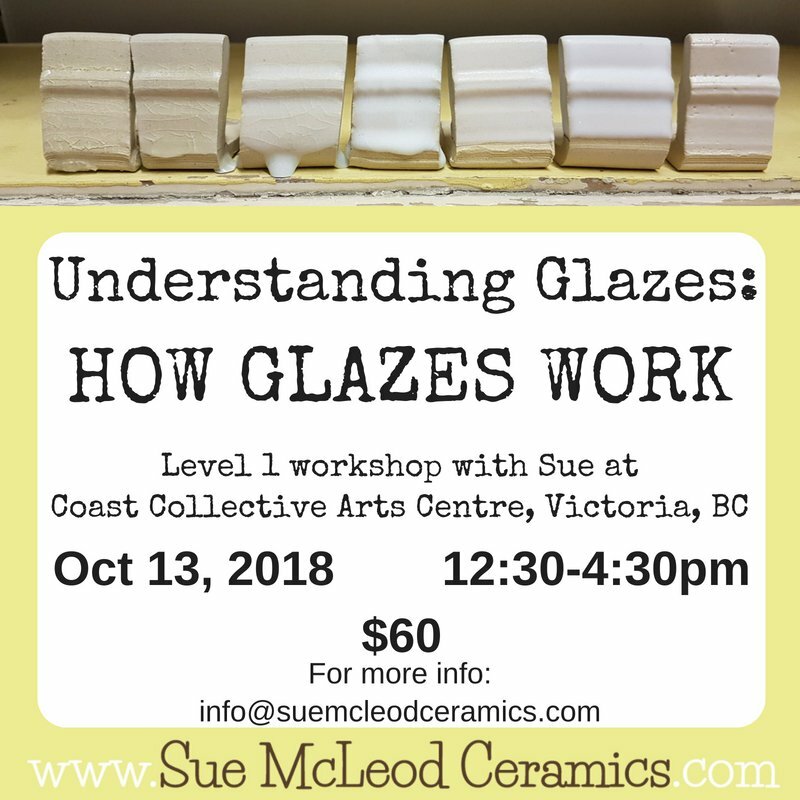 There will be no glaze mixing instructions in this class, it is focused on what glazes are made of and how the materials work together to melt in the kiln. Sue gave a wonderful and well-prepared presentation! She has a very clear, friendly speaking voice and it is evident that she knows a LOT about this topic and enjoys talking about it with an interested audience. Sue’s teaching style is natural and engaging. Great job! Thanks Sue for a great presentation. It focused my various threads of understanding and knowledge into a much more cohesive picture. 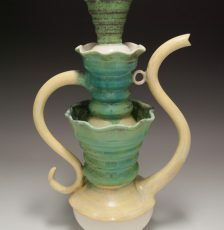 Knowing what the constituent parts of a glaze and how to analyze it will be invaluable. 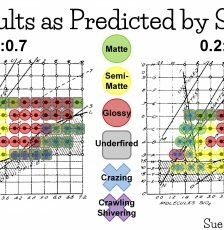 I particularly liked learning about the UMF and Glazy.org which give me the ability to assess glaze formulas from anywhere in the world, which is very cool. I REALLY appreciate your Open Source/ Maker philosophy and willingness to share not only your glaze recipes but also the results of all your years of testing– it is far from the norm in the pottery world (despite the rest of the world going that way), and so doubly refreshing. Lastly, I now know what I do not know… and can register in your colour class!